Guided scenic tours to make your visit to the Eastern Sierra unforgettable! Visiting Mammoth Lakes for the first time? MAWS Transportation, also known as Mammoth All Weather Shuttle (MAWS), offers 3 different sightseeing tours to make your visit to the Eastern Sierra unforgettable! We’ll have your day planned out, provide food, drinks and snacks, cover park fees, and visit every must-see scenic spot in the area. You’ll be able to relax, avoid stress, and save time by letting our experienced guides take care of details. Why not optimize your vacation by allowing a long time local to guide you! We will take you to the most pristine locations in our area and share interesting and entertaining history and facts. From a simple lake side walk, to a deep bloody history of one the world’s most preserved ghost towns, we guarantee you will see our area differently after spending the day with us. Find out if one of our pre-established tours will work for you and your family, otherwise we can also customize a special tour just for you! Do you have a larger group? We offer discounted prices for parties over 4 people and kids. 11 Hours (Door-to-Door) – You’ll learn and discover the history of the park and the forces that have have shaped the landscape. We’ll hike to the oldest living trees on earth and likely see deer, coyotes, marmots, and possibly black bear. 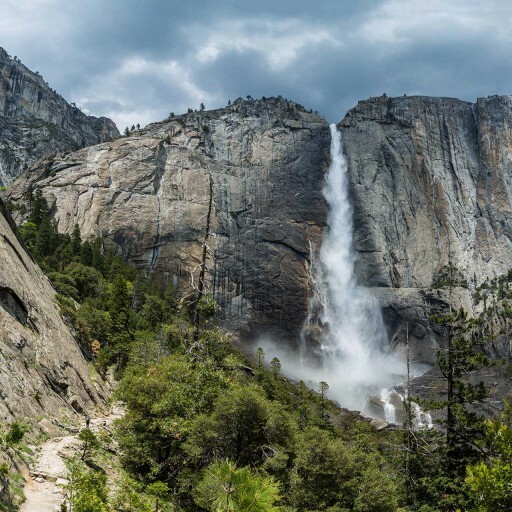 During your tour, you’ll experience: Tuolumne Meadows, Views of Half Dome, Hike to the Giant Sequoias, picnic by the Merced River, tour around the Valley Floor, Yosemite Falls, Royal Arches, El Capitan, Bridal Veil Falls, and much more! Yosemite is located only 45 minutes from Mammoth Lakes, that means you will spend over 9 hours inside one of the world’s most beautiful places. 7 Hours (Door-to-Door) – We’ll start our tour by visiting the June Lake Loop, where you’ll see why fisherman are so enthusiastic about coming back every summer. The next stop is Mono Lake. There, you’ll learn more about its interesting history and unique ecosystem. Finally, we’ll go back in time and experience a real ghost town that was once full of life and great expectations. 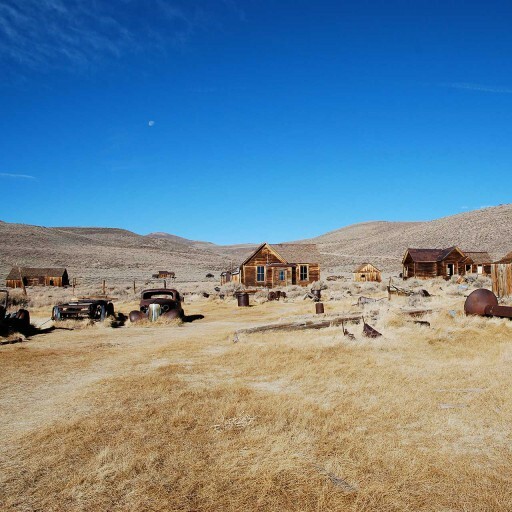 Bodie State Park is not to be missed! 4 Hours (Door-to-Door) – Learn more about life in this idyllic mountain town, its resident bear community, and how the ski resort started. 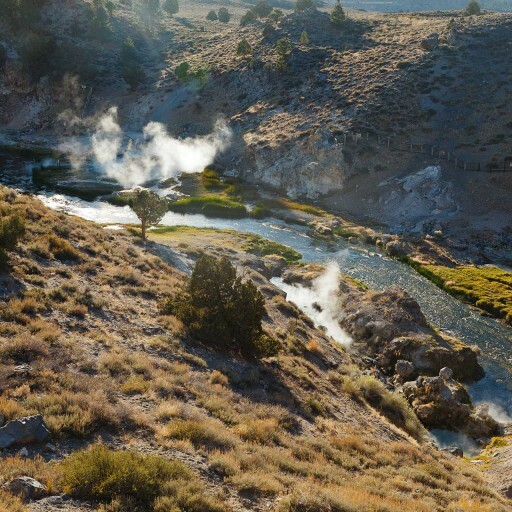 During your tour you’ll see some of Mammoth Lakes most scenic spots, including: the Lakes Basin, Old Mammoth’s Historic mining area, Minaret Vista, Hot Creek geological site, Hayden Cabin Museum, and more. All Eastern Sierra sightseeing tours include “COMPLIMENTARY”* hotel pick-up/drop-off, park fees, beverages and snacks. + Discounted rates for groups over 4 and kids. Please note that for your child’s safety, we require you to bring a car safety seat for all children under 6 years or weighing less than 60 pounds. + We require a minimum payment of 3 people per tour, please contact us for private tours and details. * Complimentary pick-up /drop-off only within the town of Mammoth Lakes and June Lake.